A bill currently being debated in Peru could prevent institutions such as the ICC, ICDR and LCIA administering cases in the country as it clashes with rules allowing them to select arbitrators when the parties cannot agree, practitioners have warned. The proposed amendment to the 2008 Peruvian Arbitration Act, which covers both domestic and international arbitration, would strip away institutions’ power to appoint arbitrators of their own choice, stating that any default arbitrator appointments must be made “objectively and randomly” from lists of arbitrators. This would conflict with the ICC 2017 rules (article 13), ICDR 2014 rules (article 12), and LCIA 2014 rules (articles 5 and 7), which provide for the non-random selection of arbitrators by the institution if the parties cannot agree. The bill does not specify how the default appointment process would be randomised. It also assumes that arbitral institutions have public lists of arbitrators, when neither the ICC nor the LCIA does. Elsewhere, the bill states that institutions must only use publicly advertised objective criteria when assessing arbitrators for inclusion on their lists and that any requirement that involves “subjective assessment” will be void. An arbitrator can likewise only be removed from the lists if there are “duly verified objective circumstances”. Confirmation of party-selected arbitrators by institutions is banned. If they are chosen by a party, nothing should prevent them serving, the bill suggests. The bill appears to be a response to recent efforts to boost the use of institutional arbitration in the country, where 60% of cases are estimated to be ad hoc. These efforts have been driven in part by concerns about potential bribery of arbitrators. A congressional committee in Peru convened at the start of this year has been examining numerous awards issued in domestic arbitrations involving construction companies implicated in the Lava Jato corruption probe in Brazil - including Odebrecht, which last year admitted to paying hefty bribes to win contracts all over South America, including US$29 million to Peruvian government officials over nine years. One Peruvian arbitrator accused of receiving bribes is Horacio Cánepa, who is alleged to have repeatedly favoured Odebrecht in arbitrations, including against the Peruvian state. He was suspended from his political party, the PPC, after an investigation by Spanish newspaper El Pais found that Odebrecht had paid US$435,000 to a bank account in Andorra in his name. He has not been tried or convicted of any offence. In 2015, it similarly emerged that arbitrators in an ad hoc dispute between the regional government of Arequipa and medical company Oncoserv had received bribes to favour the company. 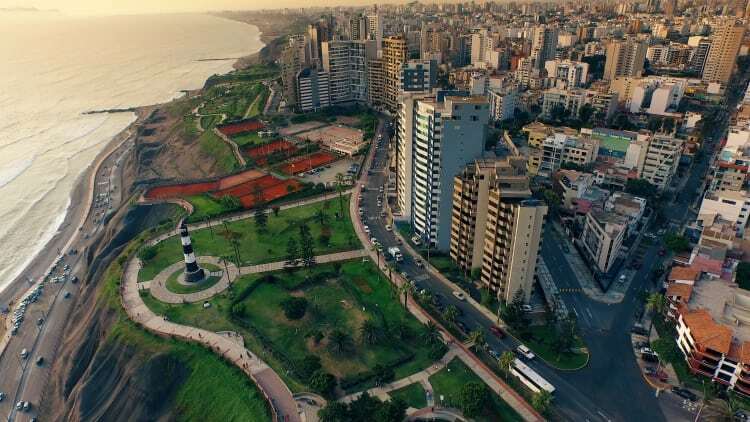 As well as encouraging a move away from ad hoc arbitration, these scandals have led Peruvian institutions such as the Lima Chamber of Commerce to be more careful about which arbitrators are appointed and block the use of those who cause them concern. This in turn has triggered resentment among arbitrators who are no longer receiving appointments or have been removed from arbitrator lists. Some have campaigned to be reinstated, including by bringing constitutional actions against the institutions. But critics warn that the bill, which was proposed by Peruvian congressman Juan Carlos Eguren and presented to parliament in March, does not prevent parties from picking the corrupt arbitrators of their choice and arguably makes it easier for them to do so by limiting institutions' power to stand in the way. Alvaro Aguilar Ojeda, secretary general of the American Chamber of Commerce Peru, one of the country’s leading arbitral institutions, tells GAR that Peruvian law stipulates that all disputes and controversies relating to government contracts must be resolved through arbitration and that corruption is a problem. But he says institutions can prevent this by ensuring “transparency and control” – as was acknowledged when domestic arbitrations to which the state is a party, referred to as “administrative arbitrations”, were briefly made mandatorily institutional (the Peruvian Congress later repealed the change). José María de la Jara, an associate at Bullard Falla Ezcurra in Lima who researches and speaks on corruption in Latin American arbitration, describes the bill as “a populist reform” in response to the Odebrecht scandal that would heighten rather than reduce the corruption problem. He says that taking away institutional power to vet arbitrators would make it easier for those who are not impartial or independent - “bad apples” - to get through as they could only be excluded if there were an “objective circumstance, duly proved” against them. The bill is an example of what happens when Congress seeks to win public approval without fully understanding what it is legislating about, de la Jara argues. He also highlights what he believes is the “best disinfectant for corrupt practice”: publicity. Speaking of the provisions of the bill limiting institutions power to confirm or vet arbitrators, Ricardo León-Pastor, who runs his own firm in Lima, says they will undo recent efforts by institutions to drive out arbitrators of “bad reputation”. Above all, there is concern among Peruvian lawyers about institutions such as the ICC withdrawing if the bill is passed. Carlos Matheus Lopez, a professor of arbitration law at the Pontifical Catholic University of Peru and a full-time arbitrator in independent practice, warns that arbitration in the country will suffer if top centres can no longer administer cases there. 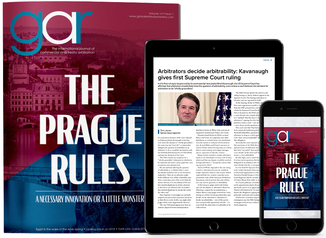 “We may lose the opportunity to improve our arbitration practice through knowledge of the latest developments,” he says. The bill is currently being debated by the Peruvian parliament's Justice and Human Rights Committee and it is uncertain when it will be voted on, if it makes it past this stage. The Peruvian congressmen who drafted it were unavailable for comment.